Lynx Heli offer upgraded Vertical Fin for your Oxy 3. - Direct replacement for the standard Oxy 3 tail parts. - Increase strength and crash resistance. - Increased Heat Sinks effect that assures longer Tail Shaft Bearing precision. - Available in different colors for the best personalization. - Designed and tested with very high head speed, (over 5000 rpm). - FEA (Finite Elements Analysis) design assisted, achieve lightweight and maximum strength. 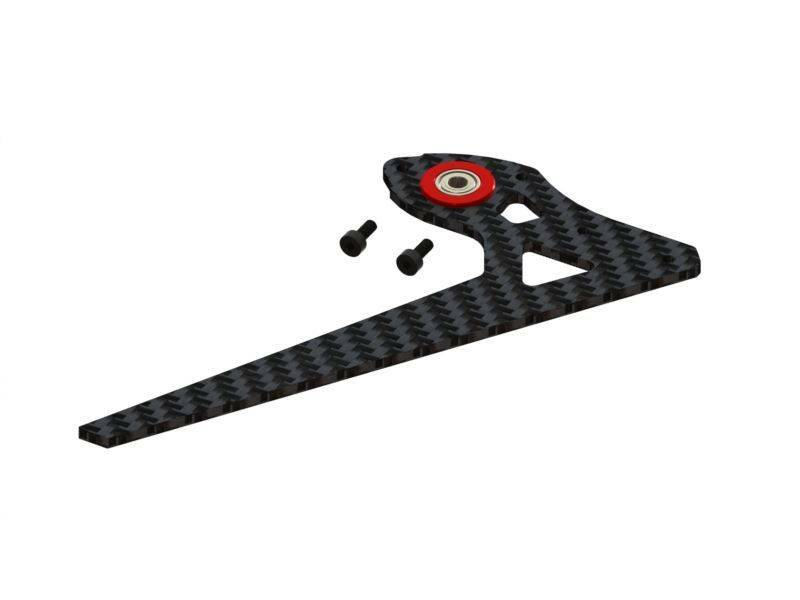 - Vertical Fin Material: Carbon Fiber with CNC Aluminum Bearing support. - 1 x Oxy 3 – Pro Edition Vertical Fin – Red Color.